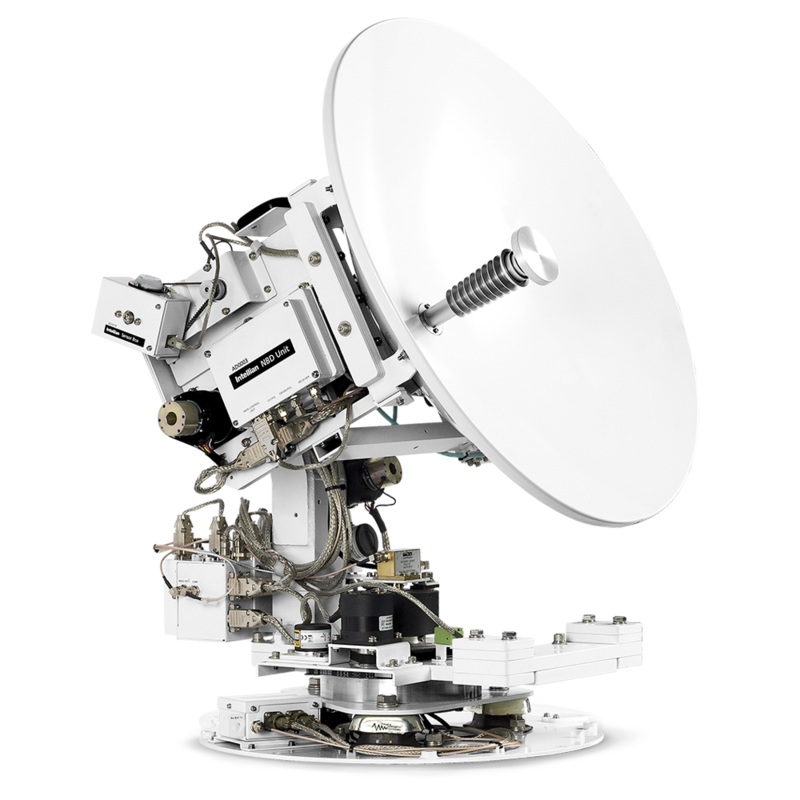 Ku Coax to Feed Low Loss. 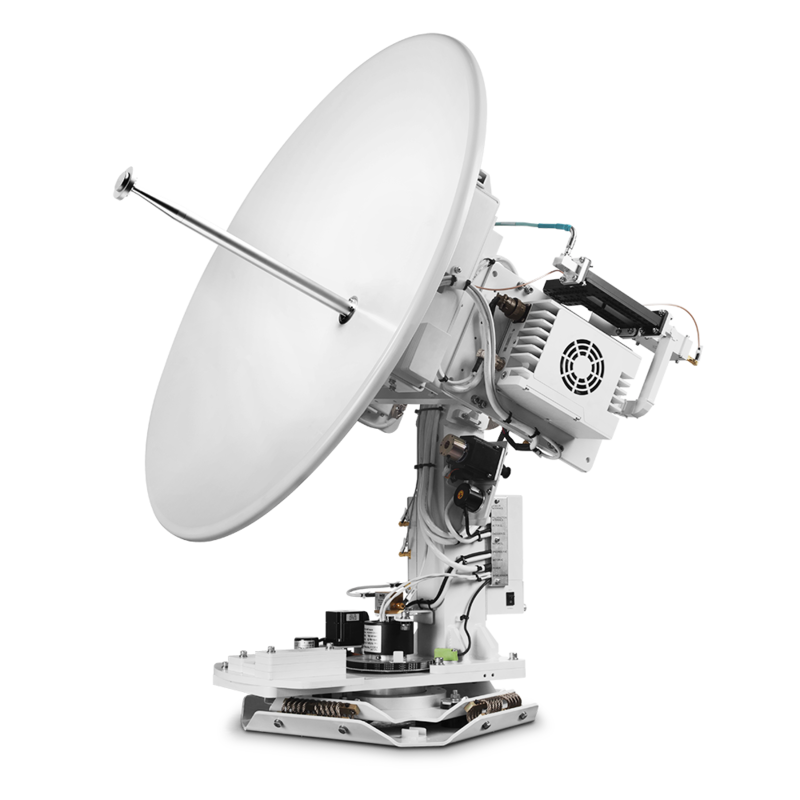 BUC directly on feed Low loss wave guide and rotary joint to feed. 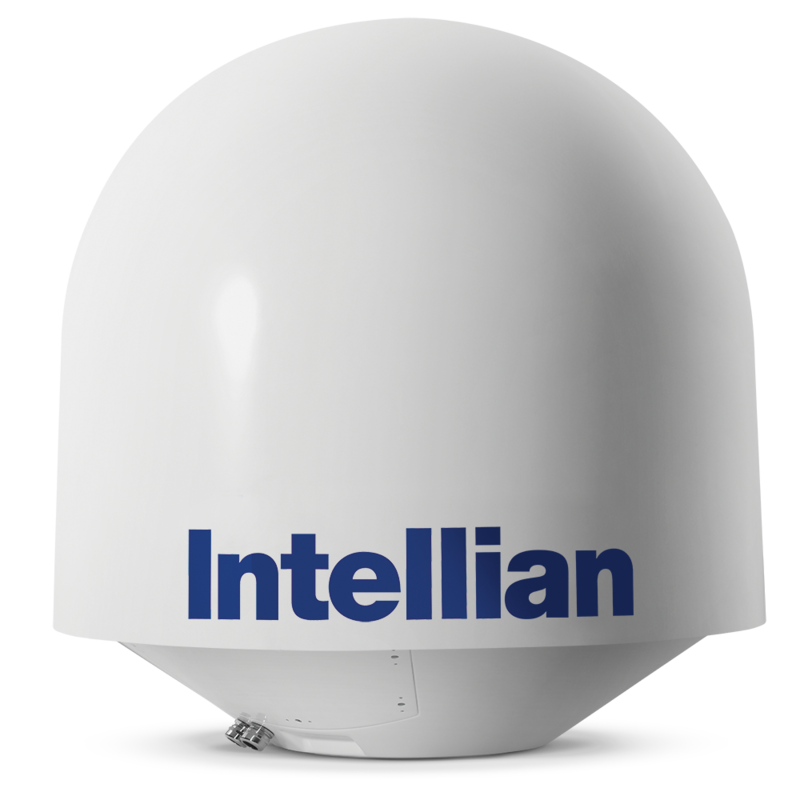 89.1kg / 196.4 lbs 138cm / 54.33"
670kg / 1477 lbs 330cm / 94.5"
Intellian v60G for smaller boats. 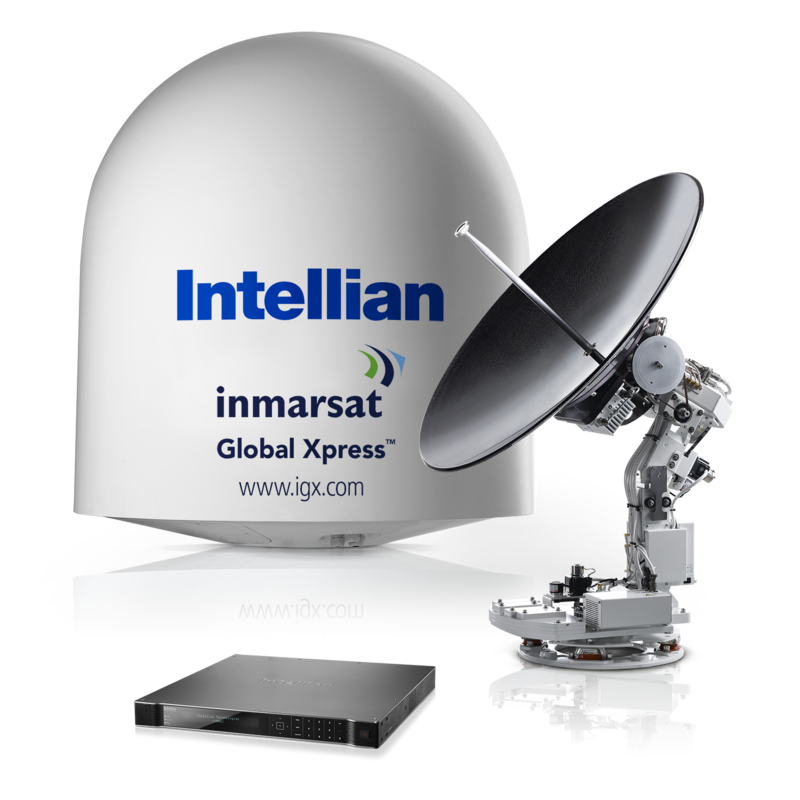 This is a 1 meter Ku-Band antenna that is easily convertable to Ka-band for Global Xpress Ka-Band broadband service from Inmarsat, when that service becomes available next year. 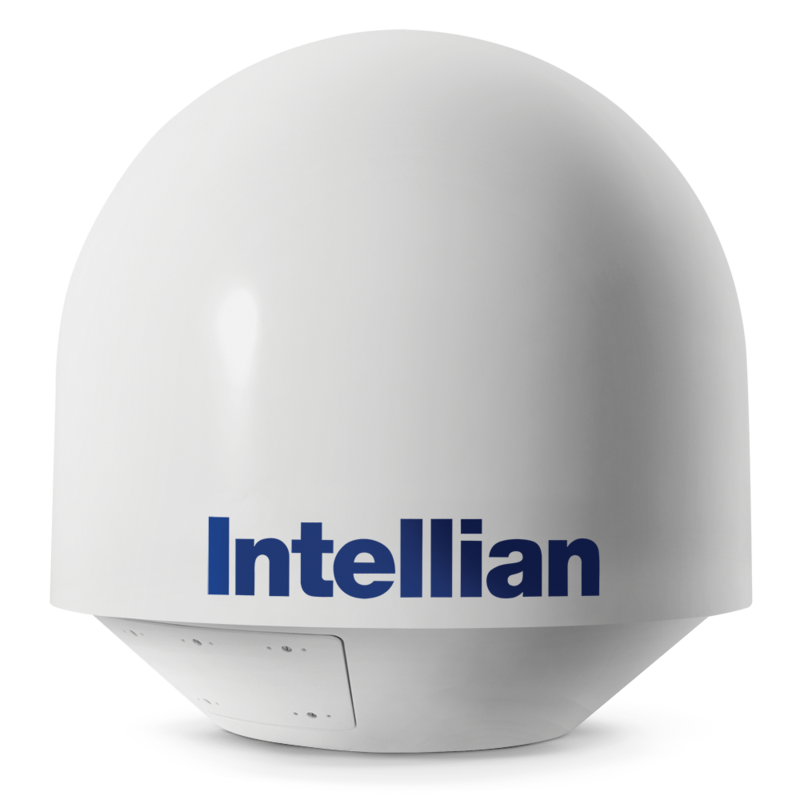 The antenna can be quickly converted in as little as 10 minutes without the need for a factory trained technician. 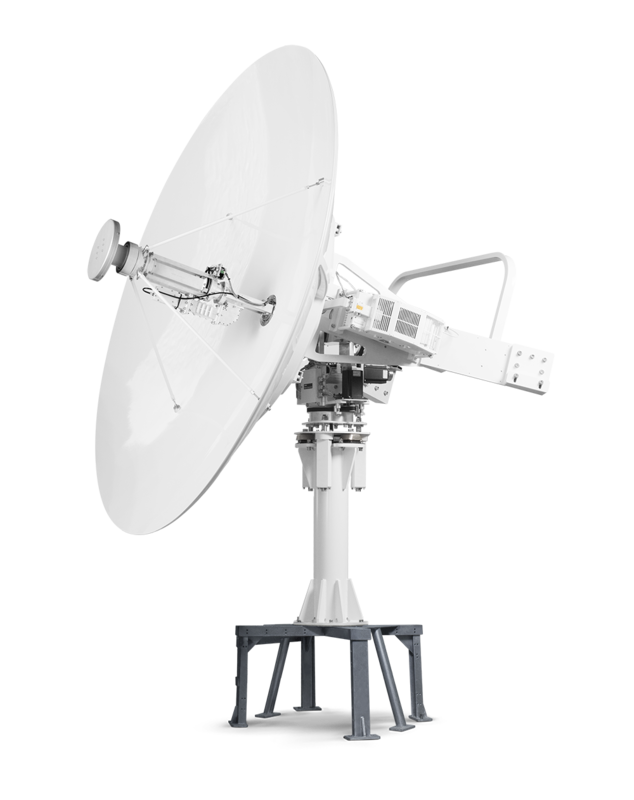 One would need to replace the RF module conmtaining the BUC and LNBs, the feed and the ACU to make the antenna immediaely ready for Ka-Band service. 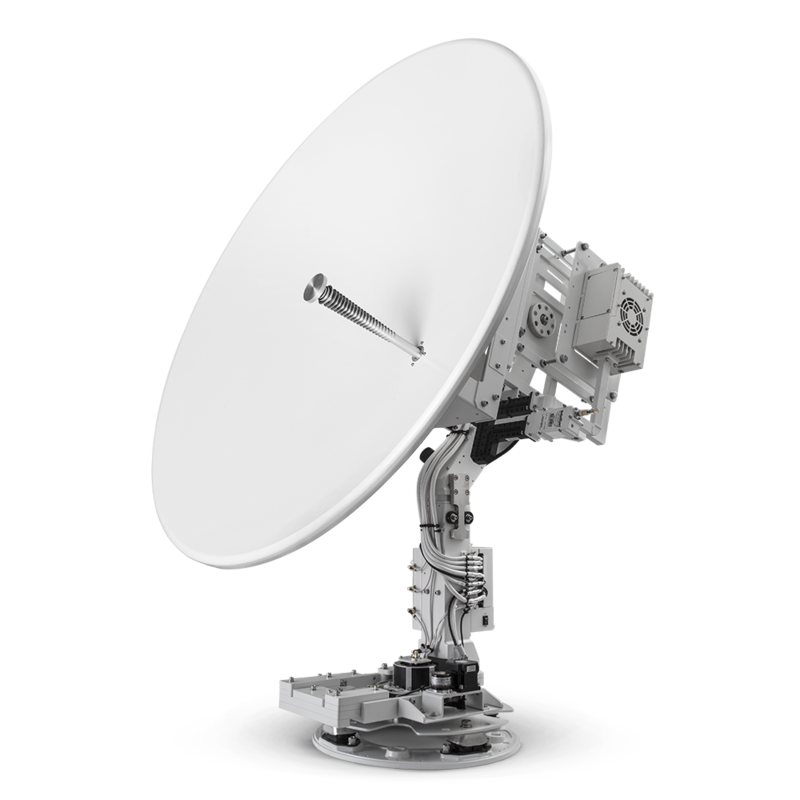 The v100GX is available with 4W, 8W, and 16W BUC sizes. 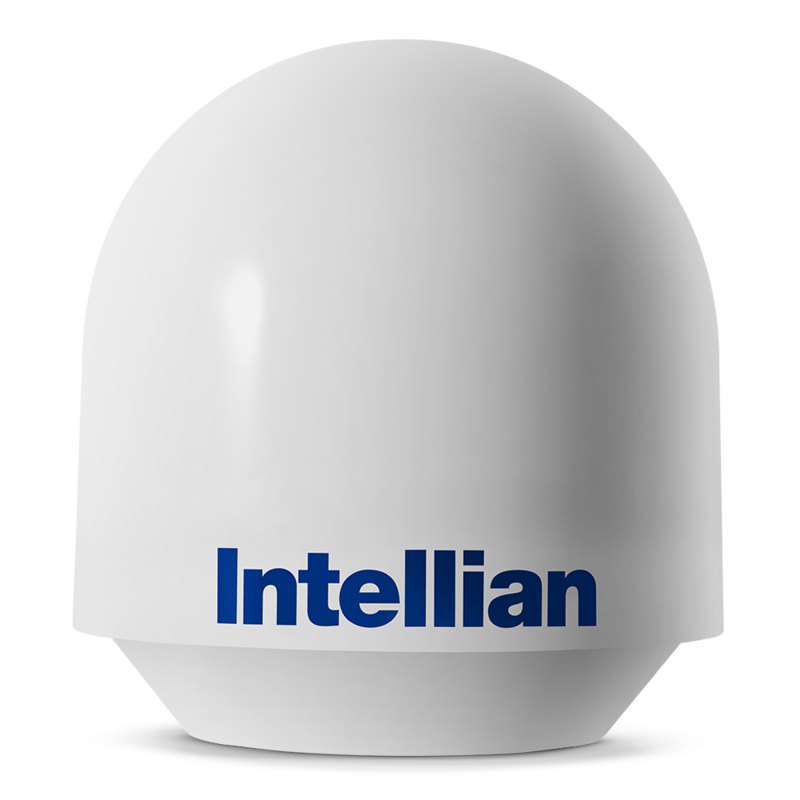 All models are standard with Co-pol and Cross-pol feed with Intellian’s Global PLL LNB. 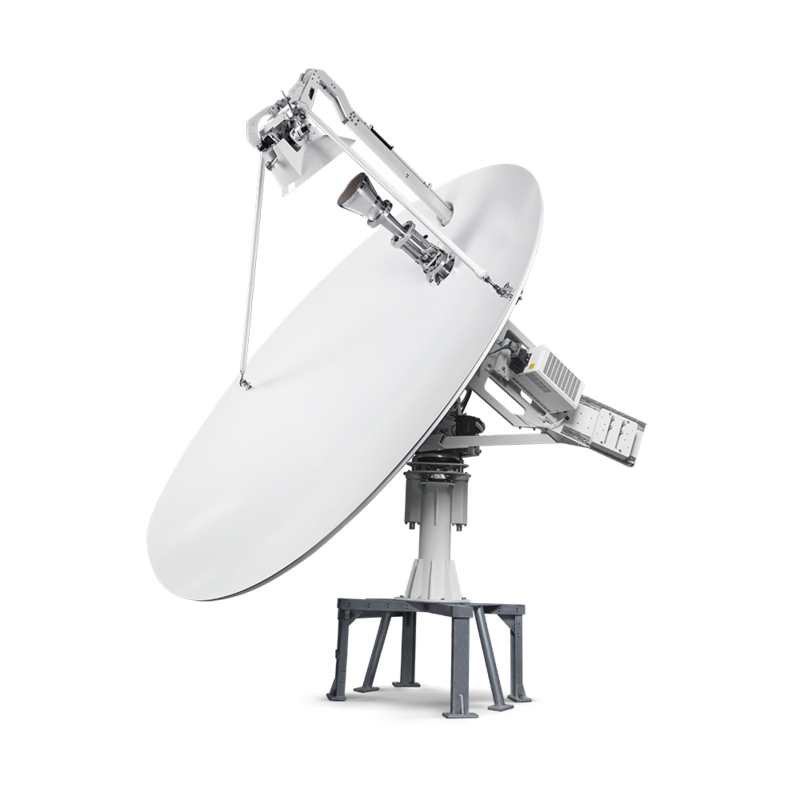 The freququncy of the local oscilator of the Global PLL LNB can be remotely adjusted to receive any Ku-Band VSAT satellite around the world. 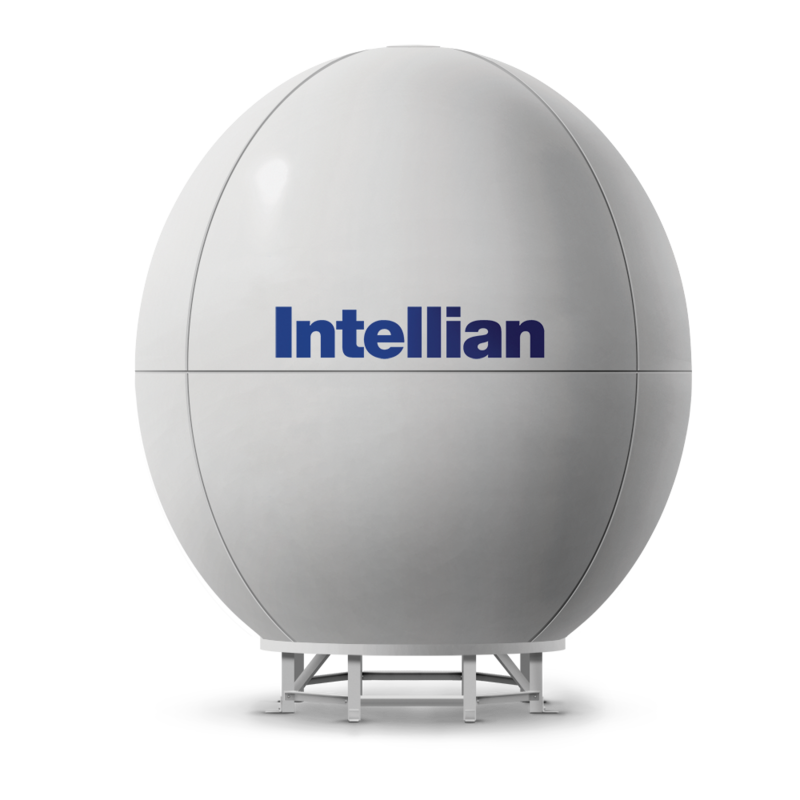 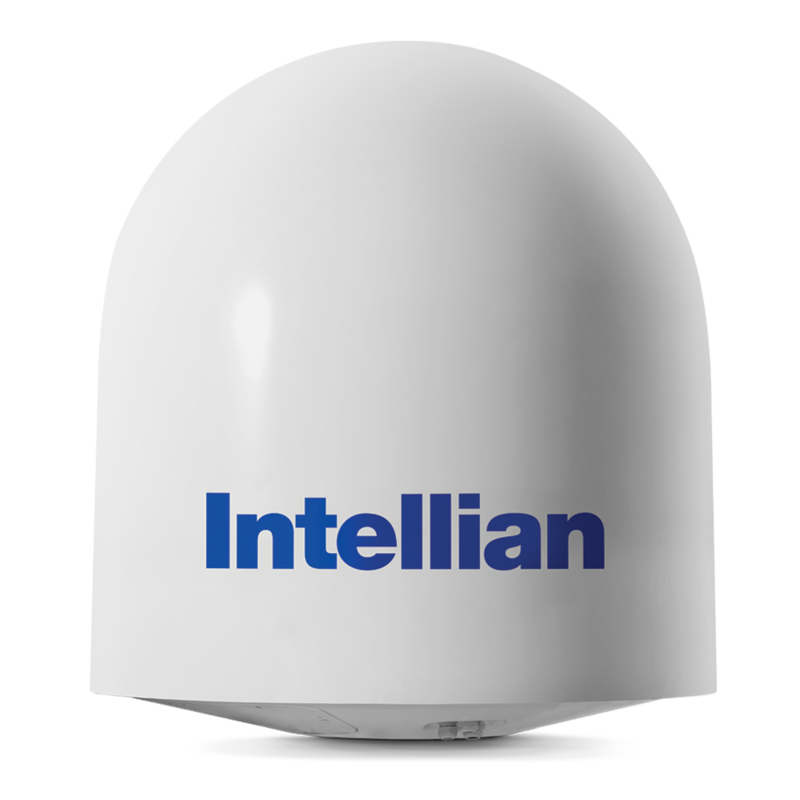 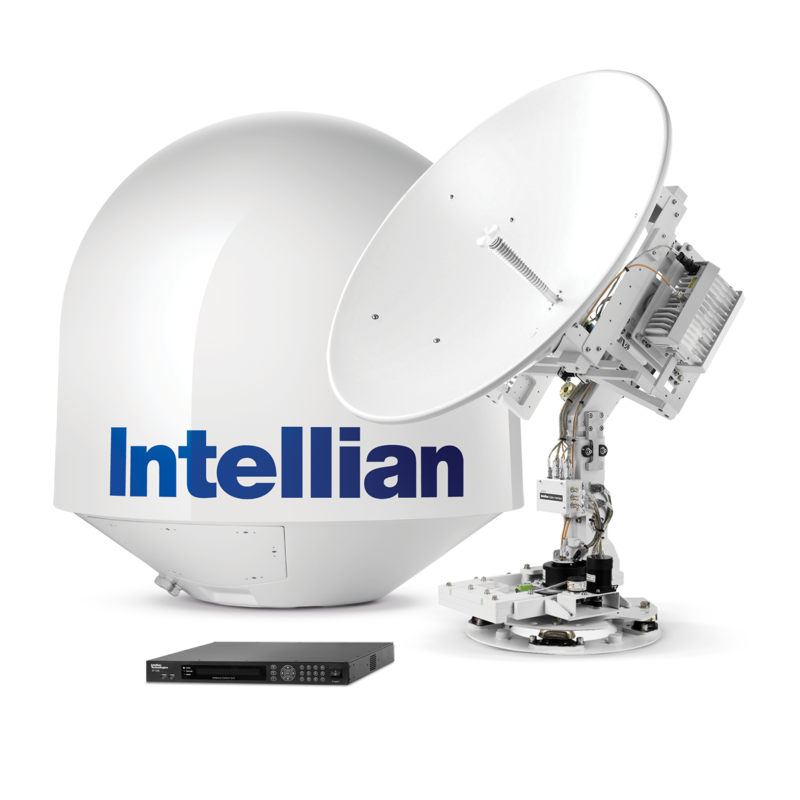 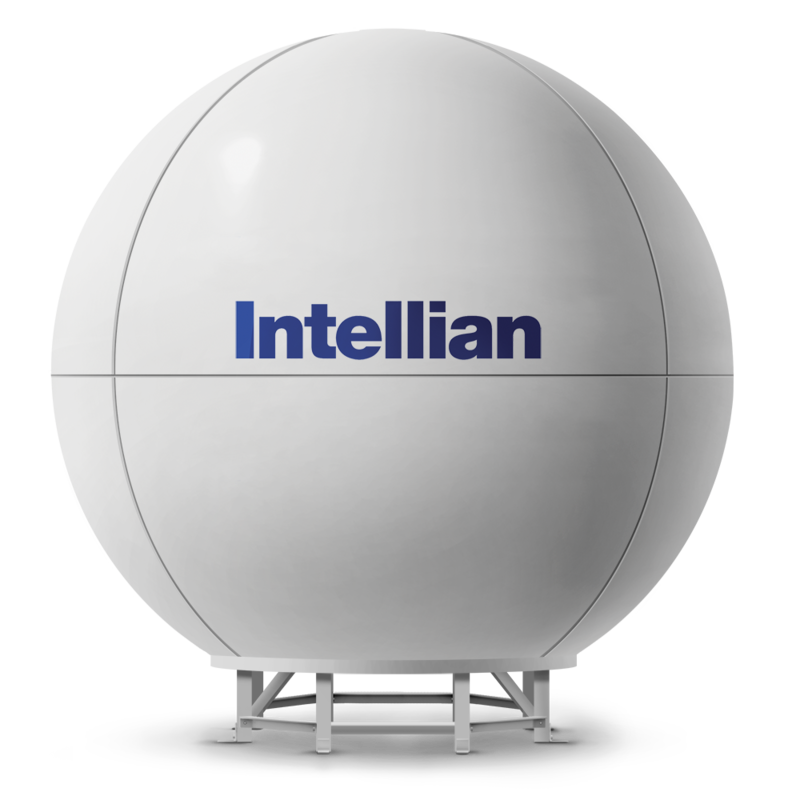 The radome is optimized for minimal attenuation of both Ka and Ku band frequencies. 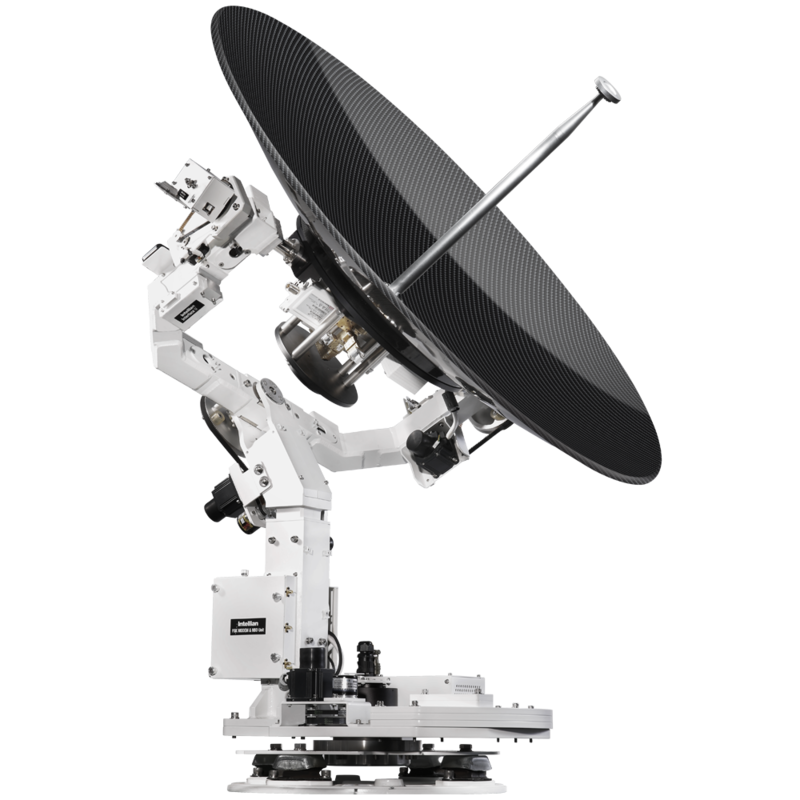 The antenna will search and find the satellite without the need for an input from the ship's gyro compass. 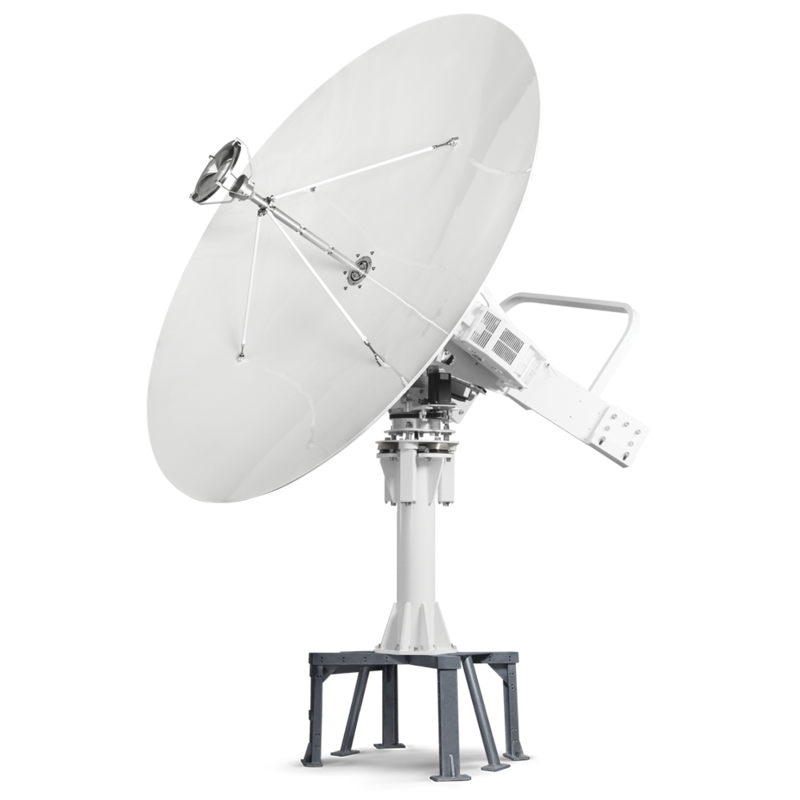 Satellite service for this small 60cm antenna is provided by ESSI using the Hughes Network on GE19 in the Americas and Eutelsat W2A in Europe. 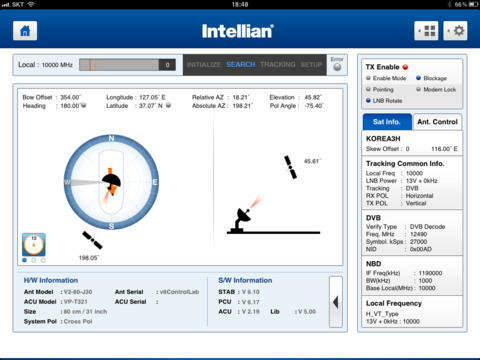 21991 visits to this page since 28 Nov 2012.